Speaker Nancy Pelosi Thrown Under Bus By Her Own : It's All Politics Rep. Jim Marshall, a Georgia Democrat, has a new ad in which he distances himself from Nancy Pelosi. Democrats in conservative, Republican-leaning districts are tapping into the anti-Pelosi sentiment among voters. 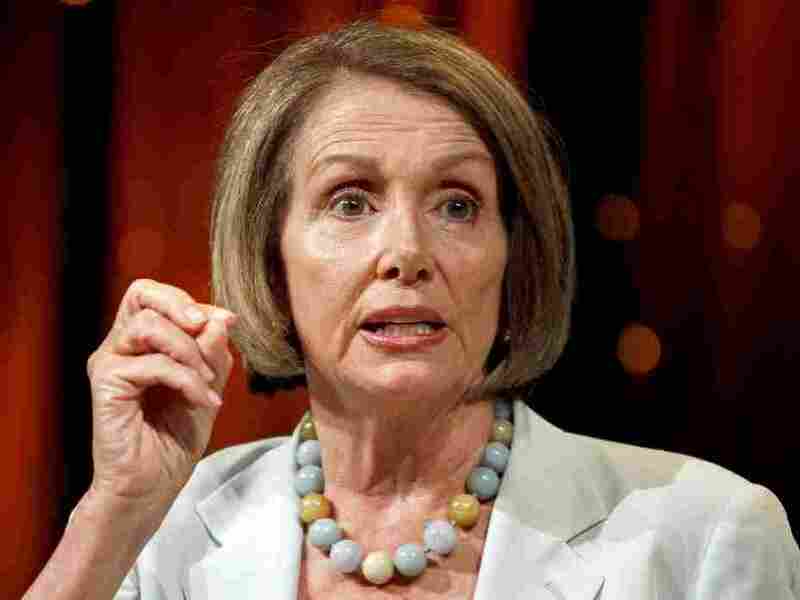 You expect Republicans to demonize House Speaker Nancy Pelosi. The San Franciso Democrat energizes the Republican base in much the way Sarah Palin can excite the Democratic base to a fever pitch of opposition. But it's much more interesting to see Democrats throwing arguably the most powerful woman in U.S. political history under the bus. The ad maker apparently believes folks in Marshall's Eighth Congressional District, southeast of Atlanta, still think hippies roam the Haight-Asbury. Georgia is a long way from San Francisco. And Jim Marshall is a long way from Nancy Pelosi. Jim Marshall doesn't support Nancy Pelosi. He voted the same as with Republican leaders 65% of the time. Jim Marshall worked and voted against Pelosi's trillion dollar health care bill 'cause we can't afford it. As Politico.com reports, Pelosi is a lightning rod for many voters who see her as embodiment of tax and spend liberals. Marshall knows this and is clearly tapping into it. And Pelosi, reputedly one of Washington's toughest politicians, likely won't take Marshall's effort to place daylight between himself and her personally if it helps her hold onto Democratic control of the House and her speakership.